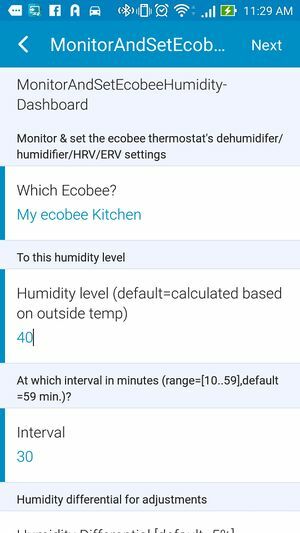 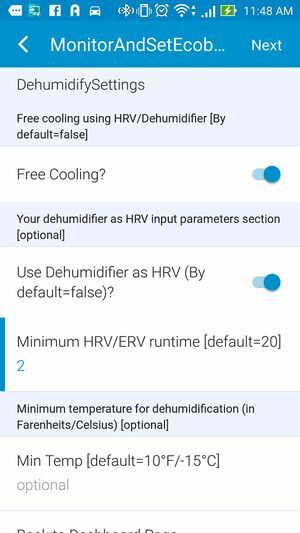 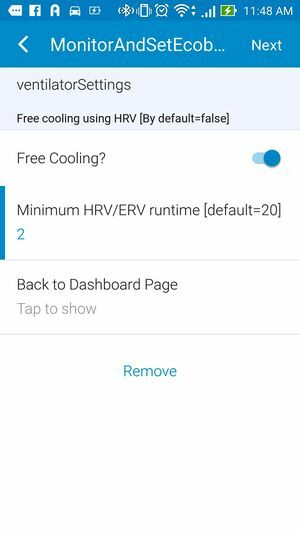 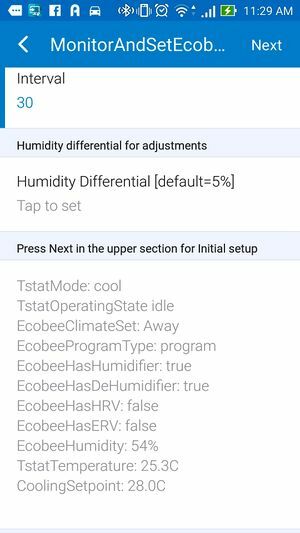 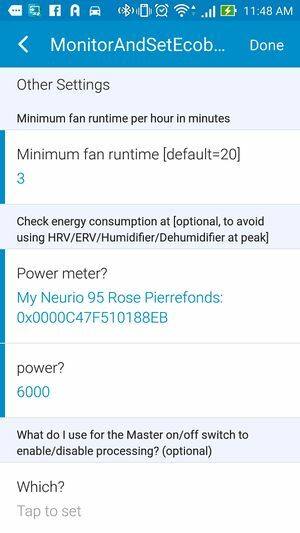 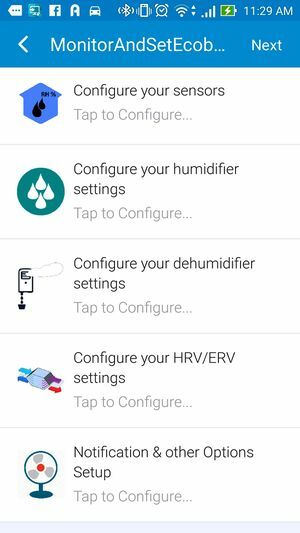 MonitorAndSetEcobeeHumdity, the smartapp that can monitor & control your house's humidity level via your connected humidifier/dehumidifier/HRV/ERV. 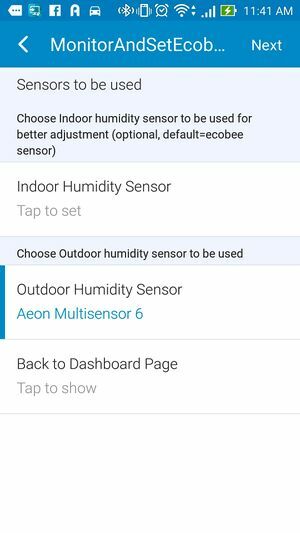 If the equipment is not connected to ecobee, the smartapp cannot control it. 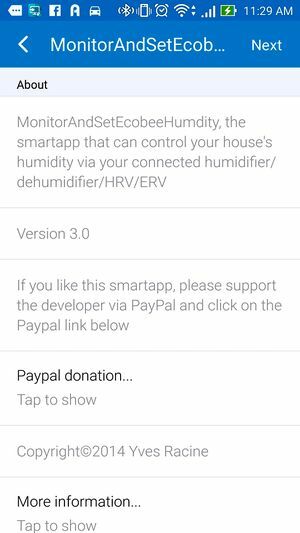 - And save & publish. 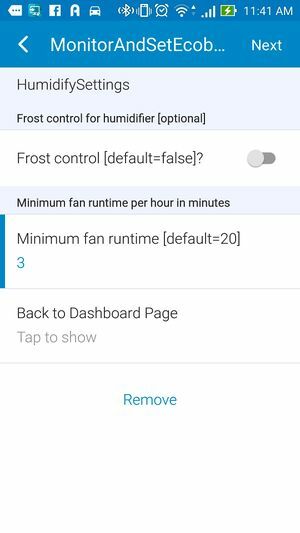 This page was last edited on 21 October 2018, at 17:39.